The finest quality Mace Powder. Mace is derived from the Nutmeg or Myristica Fragrans evergreen tree indigenous to the Banda Islands in the Moluccas of Indonesia or Spice Islands. Until the mid 19th century this was the world's only source. The nutmeg tree is important for two spices derived from the fruit nutmeg and mace. Nutmeg is the actual seed of the tree roughly egg-shaped while mace is the dried "lacy" reddish covering or arillus of the seed. This is the only tropical fruit that is the source of two different spices. The outer surface of the nutmeg bruises easily. Nutmeg and mace have similar taste qualities nutmeg having a slightly sweeter and mace a more delicate flavour. 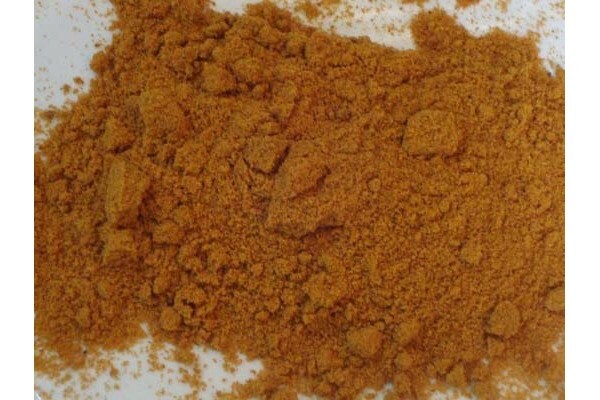 Mace is often preferred in light dishes for the bright orange saffron-like hue it imparts. A small amount will enchance many recipes adding fragrance without imposing too much flavour. Mace works especially well with milk dishes like custards and cream sauces. It contributes to flavouring light-coloured cakes and pastries especially donuts. It can enhance clear and creamed soups and casseroles chicken pies and sauces. Adding some to mashed potatoes or sweet potatoes creates a more interesting side dish. Some beverages improve with a little mace especially chocolate drinks and tropical punches. In Dutch cuisine nutmeg is quite popular it is added to vegetables like Brussels sprouts cauliflower and string beans.